Book your service in two minutes, contract free. When you choose UMOW, you are choosing to Go Local. 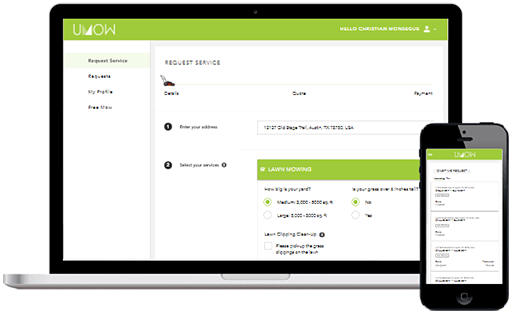 UMOW was founded by UT graduates to provide our neighbors with traditional, friendly lawn care service with the convenience of modern technology. Call us old-school, but we really do put our customers first. This is the only way we believe in doing business, and our reviews show it. If you aren't satisfied, let us know and we will make it right. Our #1 priority is making sure all of our customers are happy. It's our promise. 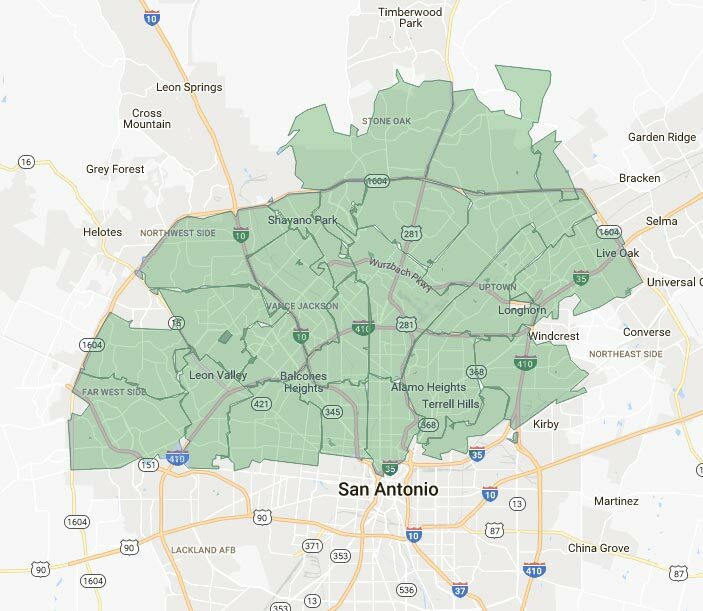 We service the North half of San Antonio. Here are just some of the areas we service. Not sure we service your area? Simply enter your address at the top of the page and click "Request Service." It will verify that you are in our service area. Choose your services and get an immediate price. Then, simply pick a service window that works for you and checkout. We'll arrive at your property and get to work! Our standard service includes mowing, edging, and blowing for your front and back yards. We will let you know that the job is complete and provide any quotes for flexible services you may have requested during scheduling. Share $10 off for their first service while you also receive $10 towards your next service. Copyright © UMOW, Inc, All rights reserved.